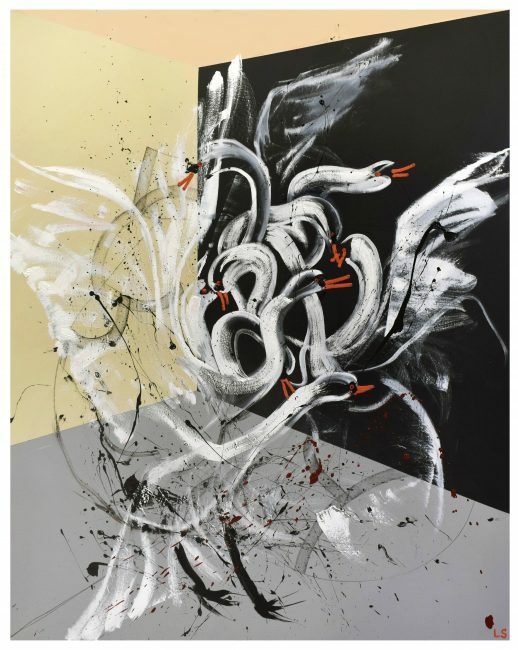 Still under the age of 30, Loribelle Spirovski is quickly becoming a name to watch on the international art scene, having won a series of prizes in Australia and abroad she is now getting her first solo show in the US at Guy Hepner in New York City. The exhibition is put on in collaboration with TAX Collection and will be on view through May 4th. Born in the Philippines to a bi-cultural household and immigrating to Australia before the age of ten, Spirovski’s art stems from a desire to fit in and find her space in the world. “As a child, I was always watching people, but was always more interested in spaces under the bed, in the crevice of a couch, or the corner of a wall. I would gravitate to those places and sit very close to them, feeling myself become separated from the world outside”. Over the past few years she has found herself more and more drawn to the tension of space – the need to fill it and the need to understand its strange sentience. 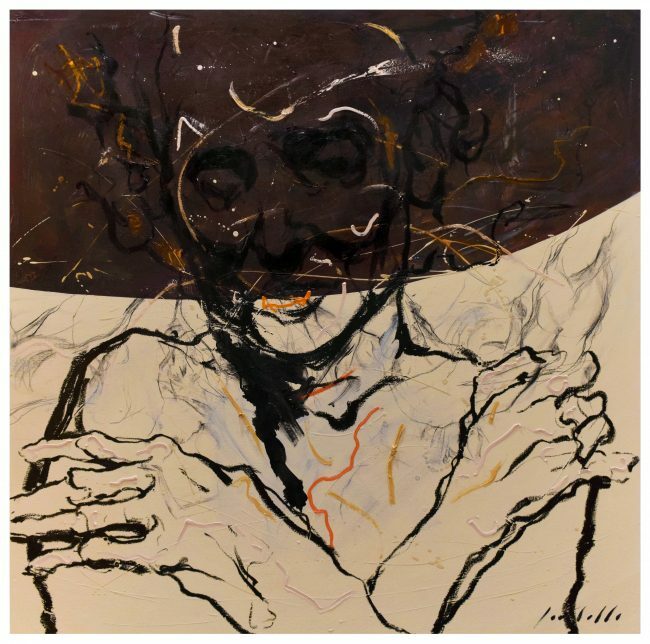 Taking refuge in the canvas, she explores the juxtapositions, ironies and paradoxes of the human consciousness; bringing to life whirlwinds of emotions within a frozen moment in time. At times contrasting two independent figures, at times showcasing two sides of the same person, her works are charged with intent. The title of the exhibition and the series, Be Still reflects on this ever-present duality within her work: “be still is both a command to the viewer to encounter the works in a moment of stillness, as well as an echo from my – our – childhood, to ‘be still’, to behave in a certain way, in a certain space” she explains. Loribelle began painting professionally in the past few years, leaving her position as a teacher in Australia to pursue her craft. 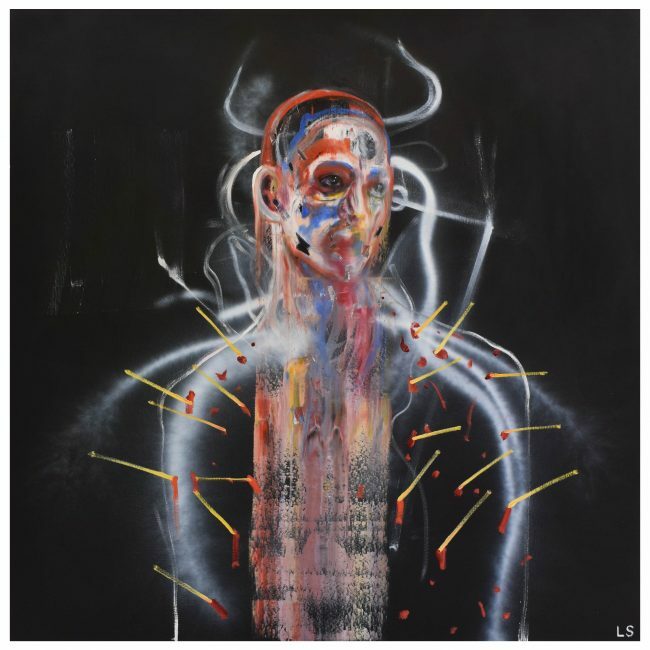 Her avid studies and extensive historical knowledge shine through within this body of work filled with art historical references to Francis Bacon, Lucien Freud, as well as a nod to Egon Schiele. 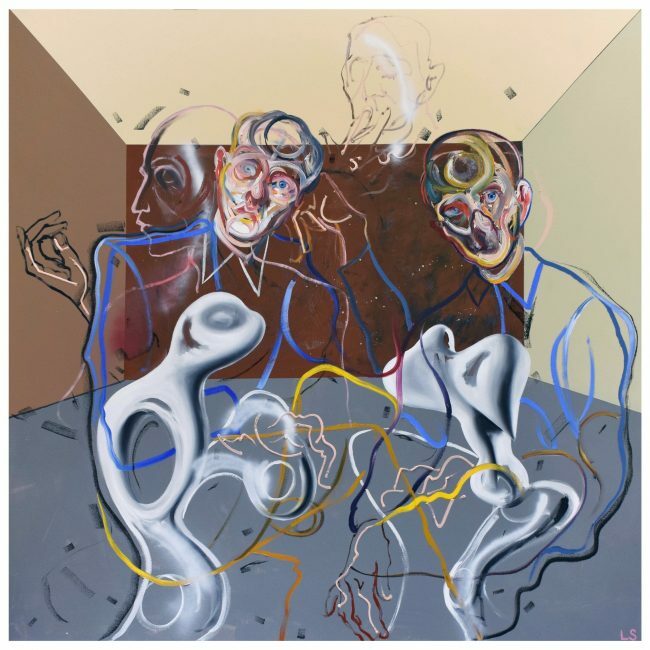 This series also draws upon a handful of mythological allusions and odes to ancient Greek fables that focus on the transformation of self and the distinction between interior and exterior personas. Throughout her career she has found herself drawn to portraiture as it allows her to reflect on the sitter who, in turn, becomes a conduit for both their own anxieties as well as her own. She elaborates on this feeling by saying “my practice is an attempt to externalize internal conflict, contrasting movement and stillness to create an unsettling effect, evoking a surreal and dreamlike quality.” Taking inspiration from expressionist painters who distorted reality in order to make it expressive of the artist’s inner feelings, as well as contemporary filmmakers such as David Lynch and his dreamlike surrealist sets and scapes, Loribelle creates claustrophobic images that are pushing to escape the confines of the canvas support. This particular series is a continuation of ideas that the artist has been toying with over the past few years – exploring the concept of people occupying space and the interaction that is forcibly created between the figure and the space around them. Very liberal and innovative in her methods and techniques, for this series Loribelle focused on the visible artist’s hand and mark-making with the underlying idea that technique is using whatever means necessary to a achieve a desired effect. 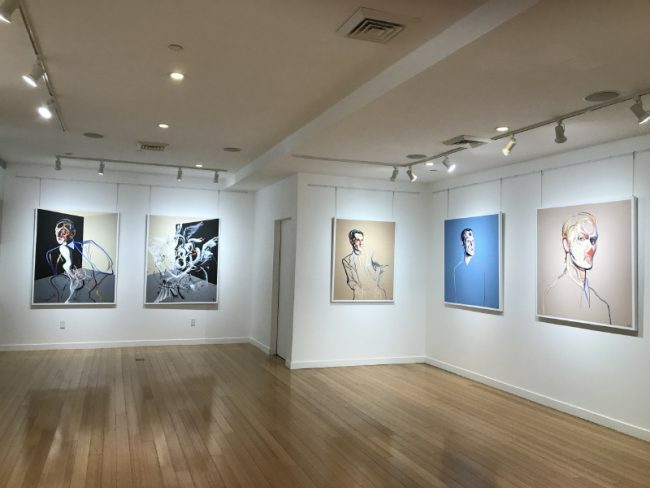 Be Still will be on view at Guy Hepner NYC through May 4th, with unique paintings for sale. Guy Hepner is open to the public Monday– Friday 10am-5pm, and via appointment at all other times.